The Monastic Academy is committed to combining the rigor of traditional monastic practice with the dynamism of a startup. 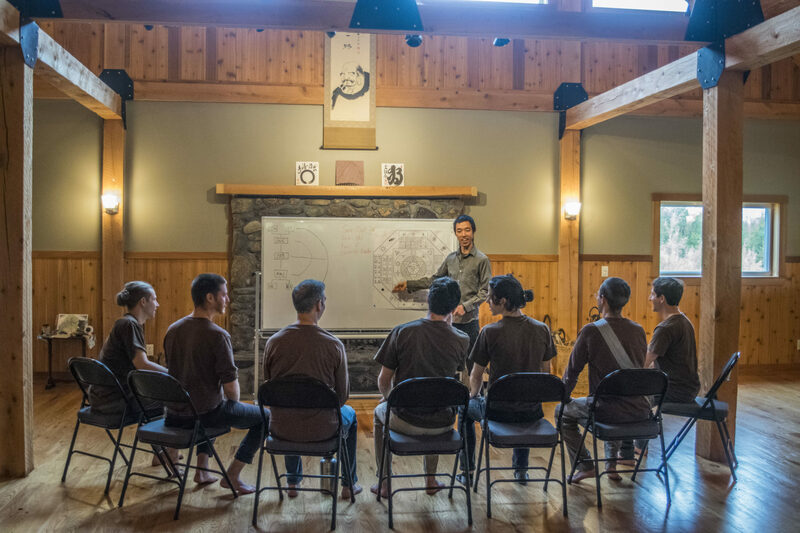 Our apprenticeship program is designed to take you through an intense meditation training that gives you a rare set of skills and experiences for life. The training will provide you opportunities to dive deeply into mindfulness practice in community, working, and dedicated sitting periods. Professionally, you’ll be in the trenches helping to build our modern monastery in Lowell, VT. It’s no easy task. Explore our training schedule here. The apprenticeship is FREE with room and board provided. Cellphones and electronic devices are allowed. Wifi is available in the building with the exception of the evening and morning silent practice periods. 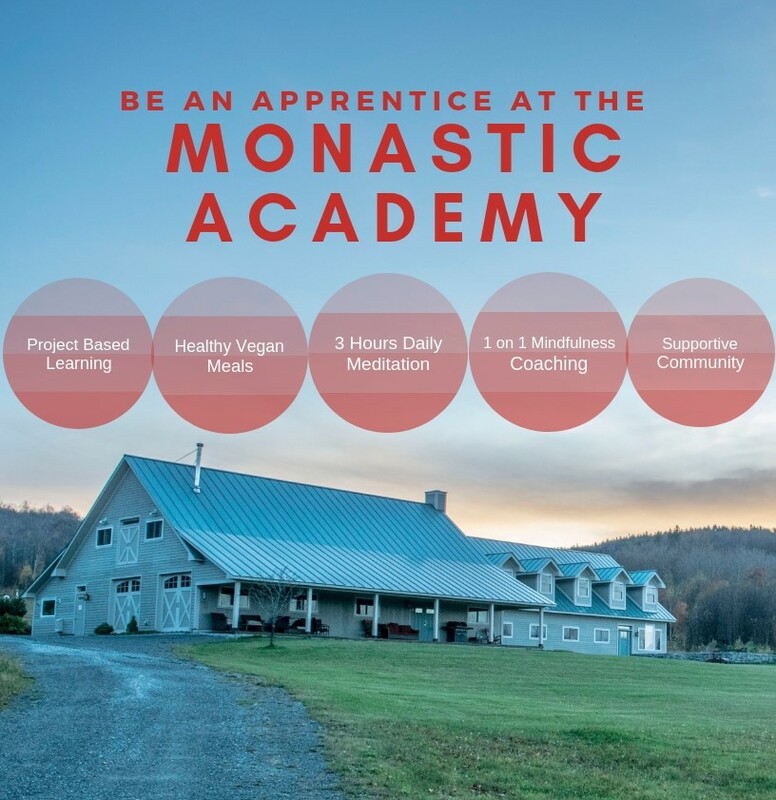 Apprentices train at the Monastic Academy for two or three months. Feel free to send questions to info@monasticacademy.com. 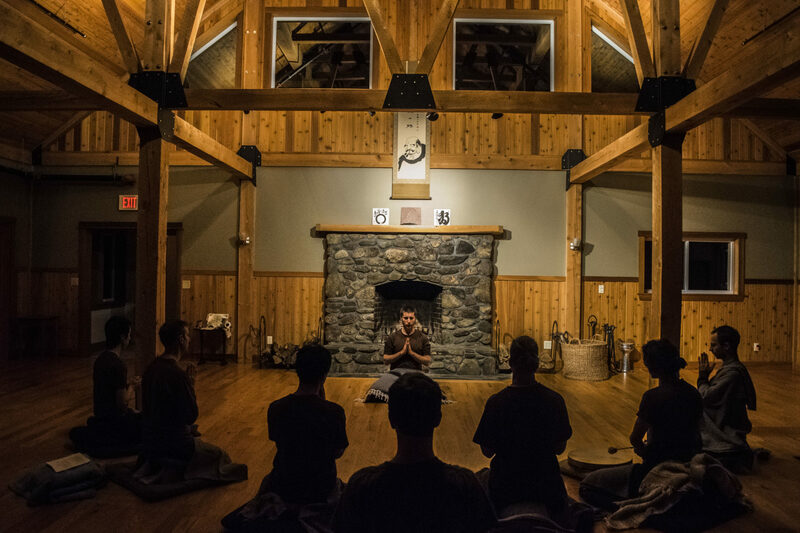 Whether you’re an experienced meditator or someone who’s only recently heard the word meditation, the Apprenticeship at the Monastic Academy is for anyone looking to grow in unexpected and rewarding ways. You may learn a number of valuable lessons working on any simple and humble task as part of the buildings and grounds crew. I had the most meaningful few months of my life, my practice deepened and I made great friends. 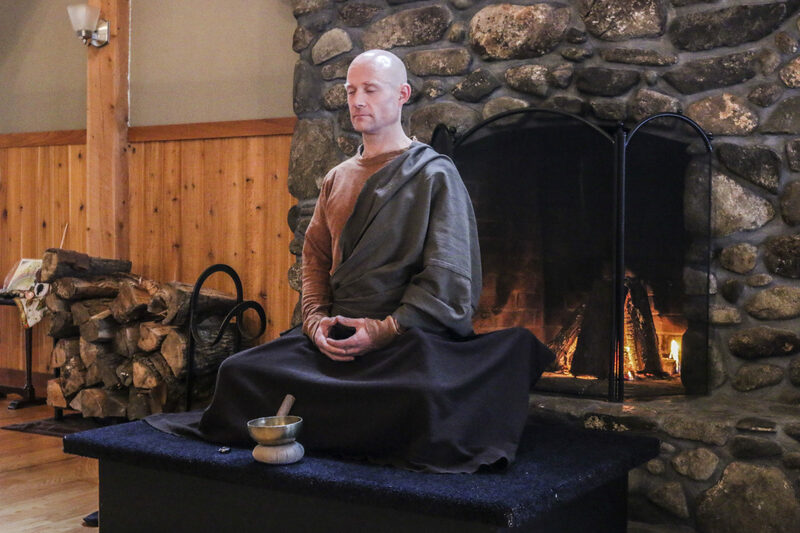 I now know that I am going to dedicate the next couple of years of my life to monastic/intensive meditation training. The Monastic Academy is my first choice of location. My time here has been life-changing. More specifically, my time at the Monastic Academy has given me direct practice at being more assertive and setting boundaries, and this is extremely important, as direct practice is the only way I see of building compassion. The Monastic Academy is like a school for how to live well, where living well means being trustworthy and acting with integrity. This whole experience has been really incredible and deeply humbling. I feel a bountiful amount of love and gratitude for everyone here and this whole experience. I feel like I had my whole ego and a lot of paradigms shifted, to places where I didn’t think they would ever be shifted. I’ve discovered there’s something beyond my mind. And for the first time in my life, my mind is quiet, and that’s incredible for me because I’ve always celebrated its loudness, but I’ve never realized how beautiful it is when it’s peaceful and quiet. Everyone kept telling me “this will change your life,” and they were right. One of the things I read about the Apprenticeship was that I would take away a skillset that I could use for the rest of my life. I didn’t know what that meant. I now know that not only did I learn about cooking, organizing events, and management, but I also can communicate more clearly and compassionately with others, create equanimity in stressful situations, and discover a deeper sense of my spirituality. The Monastic Academy has opened up the pathway to a deeper happiness in the simplicity of what we do and has left me feeling full of fulfillment and peace.